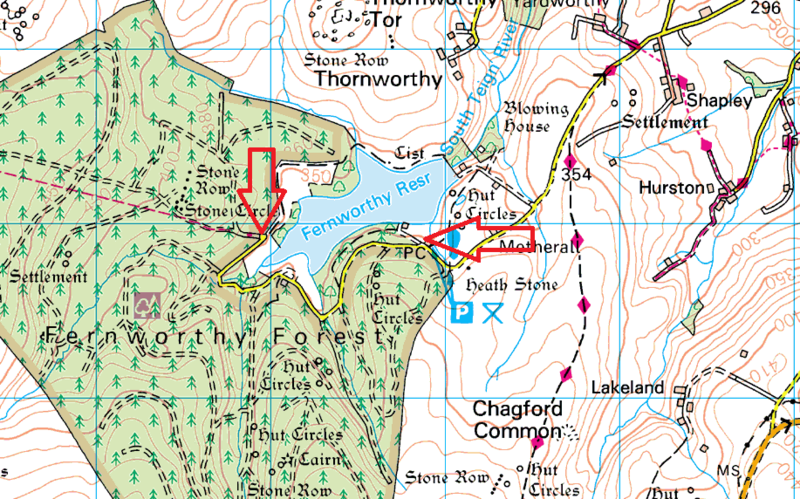 This is a few parking spots around Fernworthy Reservoir. The truth is there are a few more than this as you will find plenty of spots, where a gate blocks a path, heading off into the forest and there is plenty of room for a car or three. These two spots on the map however are the main two. 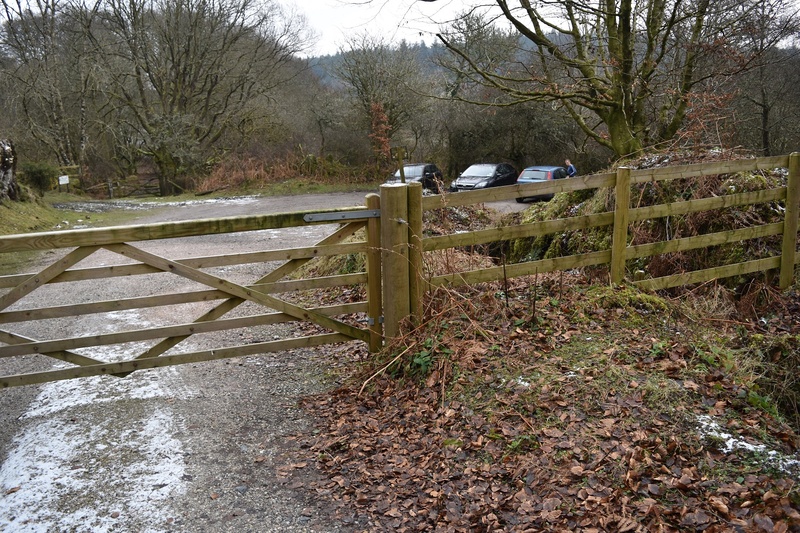 The first is the official car park, has toilets and costs to park, I however use the far side one because it is free, nearer to the moor and free!! The walks from here are good with the tors around Manga Hill in reach, also the tors to the north around Kes Tor, plus there is always a circuit of the reservoir which is a pleasant way to spend a couple of hours. You can get at least 20 cars in the official car park and about 6 in the free one, I have never had an issue with getting parked in the free one.